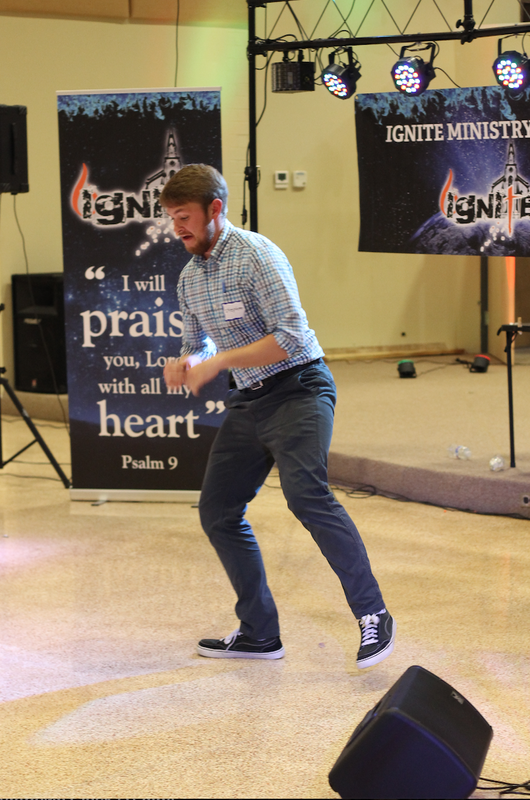 Kevin is an outgoing and sometimes funny guy fueled by Mountain Dew, Coke, and the Holy Spirit with the desire to tell everyone about Jesus through his vision of Ignite. He has a Masters of Art in Catechetics and Evangelization from Franciscan University. He also has a Philosophy and Religious Studies and Communication degree from Radford University. Kevin loves his beautiful holy hottie, Victoria, who he married on July 16th 2016. Stephen Foster is always out in nature finding God through His creation! Stephen graduated from Radford University and loves spreading God’s unfailing love to all through the mission of Ignite. Alex loves hiking, paint-balling, and taking pictures. He uses his gifts of photography for the Lord. Alex designs and edits videos for IMN. He goes to schools at CVCC and can't wait to change the world. Annie has three passions in life - God, music, and dogs. She is a graduate of UNC Chapel Hill with a bachelors degree in Music and Theater. Annie always has her amazing dog around named "Newman." In her spare time you might see Annie singing, skipping down the street with her dog, drinking a Coke Zero or watching "The Blacklist" on Netflix. She feels blessed to be part of this team and hopes to continue to be a part of IMN, further inspiring and quite literally igniting relationships in young people with our Lord, Jesus!! From Thailand to the west coast of the United States, Courtney has always been bringing people to Jesus. Courtney has a passion for graphic design and uses her creative mind to make cool and practical designs for IMN. Harriet is one of six crazy and awesome kids. She is an outgoing and funny girl inspired by God to share the love of Jesus to the world. She has traveled the country giving dynamic talks and retreats. She is excited to serve with the IMN team. Victoria loves hiking, Netflix, kids, and the Lord. She has a Master’s in Education from Randolph College. Victoria is excited and pumped to spread the message of faith, hope, and love of Jesus to everyone especially through IMN. If Brandon is not helping at Ignite, he is probably riding his motorcycle to the beach. He has been with the team since day one with the vision to spread Ignite around the country. He even jumped out of a plane with Kevin. He loves watching sports and cooking, especially on the grill outside. Brandon is the master of all the behind the scenes technology at Ignite. Mike loves praising Jesus, skateboarding, and Lord of the Rings. If you are having a bad day, Mike is the guy to talk to because his joy and jokes are what everyone needs to brighten their day. Mike is a die hard American who loves leading teens in worship at Ignite Ministry Nights. Justin loves Chick-Fil-A, playing piano, and being outdoors. He studies at the University of North Carolina at Chapel Hill preparing for dental school. Justin is excited to share the love and peace of Christ with everyone he meets through IMN. Mallory is a student at UNC Chapel Hill with the goal of eventually teaching high school history. She loves Americanos, cows, teenagers, cooking, and, of course, the Lord! Mallory’s greatest passion, though, is catching all of Kevin’s typos.